David Wilbur has been a certified track & field official since 1977 as a member of the Central Mass. Track & Field Officials Association, Massachusetts Track & Field Officials Association, Rhode Island Track & Field Officials Guild, and U.S.A. Track & Field Officials Association. Exclusively assisting University of Connecticut, Eastern Connecticut State University, Brown University, Holy Cross College , UMass Dartmouth, New England Intercollegiate Amateur Athletic Association, and the Rhode Island Interscholastic League. Charles Butterfield has been a certified track & field official since 1975 as a member of Massachusetts Track & Field Officials Association, Central Mass. Track & Field Officials Association, and U.S.A. Track & Field Officials Association. All F.T.O. workers are also certified officials. Exclusively assisting Fitchburg State University, The Intercollegiate Amateur Athletes of America, and The Eastern College Athletic Conference. 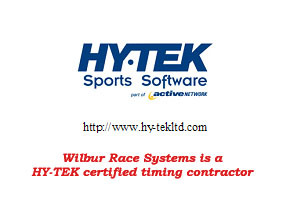 Also Servicing the Midland-Wachusett League, the Massachusetts Interscholastic Athletic Association, and the Massachusetts State Track Coaches Association.